Print head alignment tool to re-align print heads after cleaning. 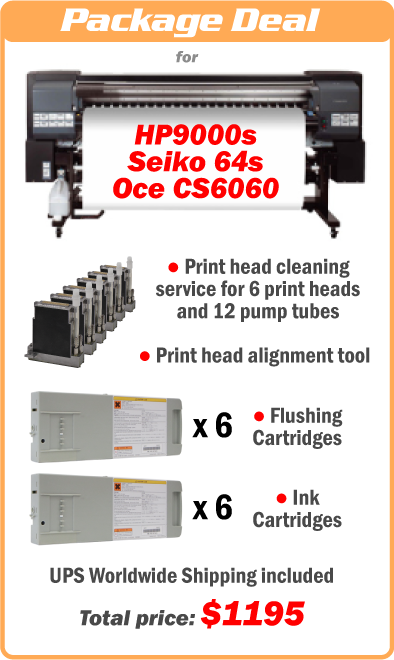 How successful is our print head cleaning? 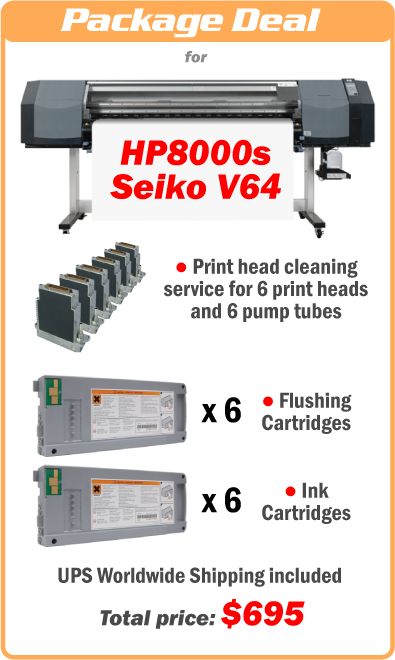 If you have been using only the OEM ink in your printer, the success rate of our print head cleaning is 95%. For aftermarket inks, especially when two brands of ink were mixed without flushing of the printer, the success rate is down to 60%. What is considered succesfful cleaning? 99% of nozzles must be open. When pushing the flushing solvent through the print head, the nozzles must form a uniform curtain of jets.